Scientists in Middle Tennessee have discovered two new species of bacteria that they say they could be the start of a new way to treat Cancer. They were found during a project to collect human-made water samples. The bacteria came from an air conditioning cooling tower and a hot tub in Cookeville in the late 90's. "A student used her own initiative to collect those samples," laughed MTSU's Dr. Mary Farone. Researchers just recently figured out what they could do. "The DNA was so different from other organisms already known," said Farone. But there is still much unknown. Like whether the bacteria are dangerous to humans. "We wear gloves and lab coats and we work with it in a biological safety cabinet," Farone said. But even the professors couldn't believe what they saw under the microscope. This bacteria doesn't die when the host cells attack. Instead it kills the host. "This one will grow until it completely destroys the cell," Farone said. "We might have a new way to treat cancers," Farone said. Now they just need to figure out how to attach treatments to the bacteria and send it inside cancer cells. It's a dream for the future. One species is named for the city where it was found. "I thought would be good to name Cookevillensis because we found it in Cookeville," said collaborator and Tennessee Tech researcher Dr. Sharon Berk. The full name is Berkiella Cookevillensis, a nod to Dr. Berk by the team who published their findings. The EPA is largely funding the million dollars worth of research. "It's a public health, water quality issue," Berk explained. 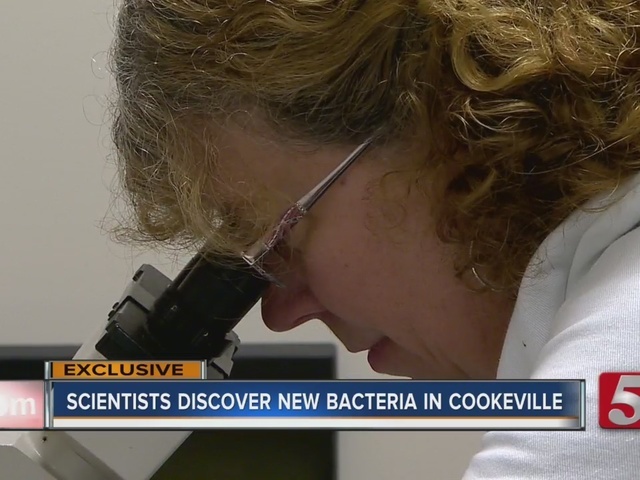 Folks in Cookeville may be surprised to hear they have their own bacteria. "They'll be in history," laughed Berk. But they say this is just the beginning. "To us it's very possible there could be even more out there," Farone said. They hope to know in just a couple years if the bacteria is dangerous to humans. They say it will be well into the future before they know if it can also be used as a treatment.